Serrapeptase is an enzyme that is able to dissolve living tissue. 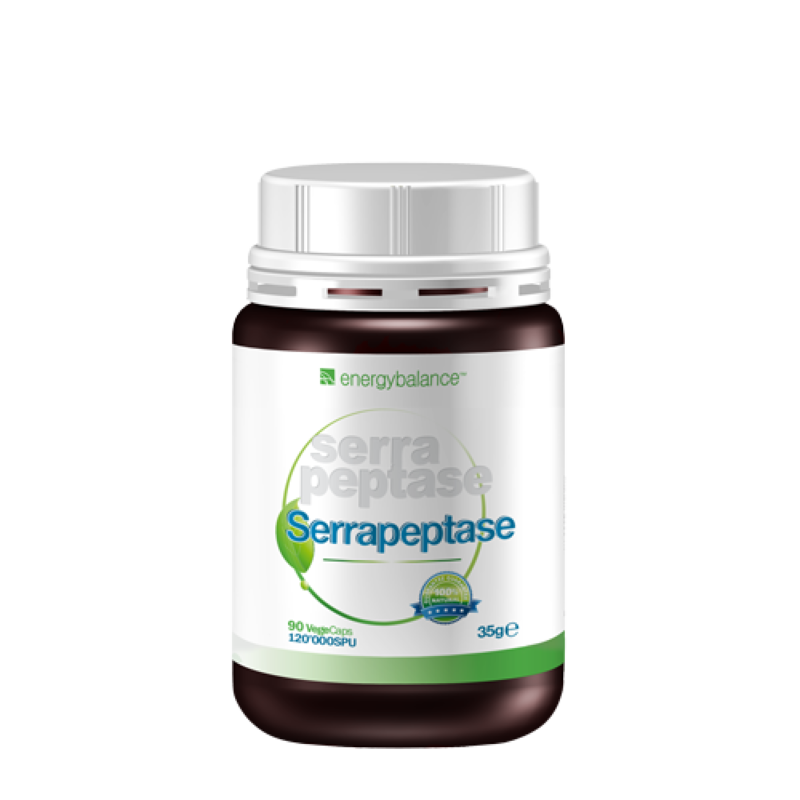 Serrapeptase is a proteolytic enzyme that is isolated from the serratia E15 microorganism. Today, the serrapeptase enzyme is naturally manufactured by using a fermentation process. However, it was first discovered in the intestines of the silk worm. This immunological active enzyme is fully bound in biological liquid with alpha-2 macroglobulin. Contents: 10.8 bill. SPU units = 90 VegeCaps each containing 120,000 SPU. 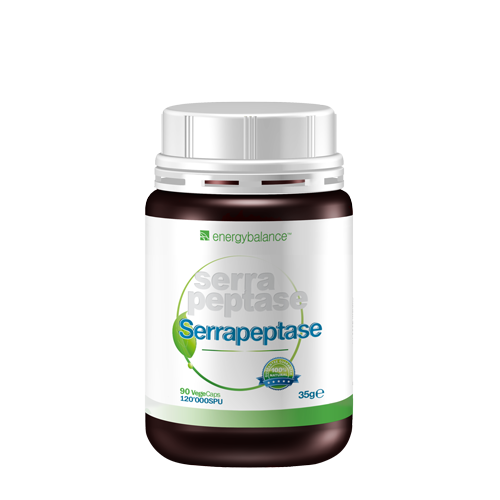 Serrapeptase is a proteolytic enzyme that is isolated from the serratia E15 microorganism. Today, this enzyme is naturally manufactured by using a fermentation process. However, it was first discovered in the intestines of the silk worm. This immunological active enzyme is fully bound in biological liquid with alpha-2 macroglobulin. Histological studies reveal interesting effects of this natural enzyme. They say that the enzyme can dissolve living tissue. The silkworm uses this enzyme to do this, more specifically to dissolve its own cocoon. People in Europe and Asia have been using serrapeptase successfully for more than 30 years. More than 40 clinical studies have shown its positive effects. Take 1 capsule daily without food as a nutritional supplement. Keep out of reach of children. © Copyright: The content provided by us on our website, such as text, graphics, logos, button icons, images, digital downloads and data collection, is the property of EnergyBalance SA or third parties who supply us with content or make content available on the website, and is protected by Swiss and international copyright and database law. In addition to the entire content of our online offerings, the content of our database is the exclusive property of the EnergyBalance SA and is protected by Swiss and international copyright and database law.